We don’t believe in ‘one size fits all’ finance. 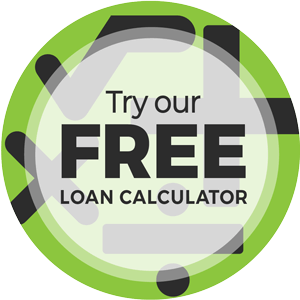 Compare your options and try our loan calculators. Leave your name and number and we’ll give you a call to get started. Looking for finance through a self-employed application? Getting finance for self-employed applications can sometimes be tricky. Not all lenders have the same appetite for self-employed customers and structure their policy accordingly. In many cases, this means you will face obstacles you didn’t even know existed. At Empowered Finance, we believe in giving the self-employed a fair go. If you’re having trouble because of your type of employment or because your income doesn’t tick the right boxes, talk to us and we’ll be there to help. Most lenders ask for proof of employment or in your case, proof of income. Be it tax returns from previous years of operation or business records showing you’ve been paying suppliers. If you’ve tried traditional lenders like banks and have failed to secure funding, then it could be the right time to try our panel of lenders. While a bank will reject your application with a computer, we will listen to your situation, prove your income and discuss how to keep your income source as steady as possible. Easy to follow applications and approval, as well as courteous and professional staff. These are the hallmarks of our financial service and have helped our many returning clients over the years. Many lenders currently ask for at least three years worth of accounts to prove income before qualifying you for a home loan. We’ll ensure your goals are always heard no matter what your financial background is. Our in-depth industry knowledge allows us to offer the best advice on self-employed home loans Australia-wide. We don’t stop our service at loan settlement. We offer you any assistance you need during the life of your self-employed personal loan. Apart from arranging finance for our clients, we help them make educated financial decisions. We will always be there to inform you about self-employed home loan requirements. We use our extensive industry connections to negotiate the best deals to finance self-employed persons in Australia. If it’s important to you, we make it important to us. We’ll start by understanding your personal and business circumstances to find out your exact needs as a self-employed person or contract worker. Afterwards, we will offer you professional advice that fits your specific needs. We use our extensive network of lenders to provide you with useful funding. We will connect you to a lender who can refinance business debts, one who doesn’t decline requests based on credit score alone and uses last year’s income only. We will help you in the application process which is relatively quick and easy. This means you will not have to navigate lender forms on your own. Looking for the best finance Broker in Subiaco? At Empowered Finance, we help self-employed customers and contract workers find the right finance to suit their professional goals. Our service is free to you. We get paid by the lenders. You won’t pay us a thing. You can reach us for professional help during the life of your loan. Access and choose from multiple lenders. Access to cutting edge loan comparison software. Most start-ups face cash flow problems. This can force business owners to seek multiple sources of credit to close the cash flow gaps. Unfortunately, this may negatively affect the business owner’s credit score. We can help facilitate a loan for self-employed individuals with bad credit. Many lenders will deny you funding if you have any outstanding ATO debts. We offer complimentary advice and free financial consultations if you require assistance. Self-employed individuals are often declined by lenders who require an active ABN for two or more years. We understand the first year of business is not always profitable which is why we use the current year’s accounts for an income check. Some circumstances can result in fluctuations of taxable business income. Some lenders will tolerate up to 20% variance, others will average your last two years, while others will use the latest year’s returns. At Empowered Finance, we see ourselves as a solution-based business. We can find a lender that will finance any equipment or home loan needs, regardless of your financial circumstances. Who is eligible for a self-employed personal loan? At Empowered Finance we can help you find both secured and unsecured loans. Self-employed individuals may benefit from our flexible credit criteria for small business needs. How long do I have to be self-employed? Borrowers who have been in business for at least twelve months are considered. What are your acceptable forms of income? What interest rates can I expect? The interest rate you qualify for is determined by a number of factors, such as the size of your deposit, the loan amount requested compared to the property value (loan to value ratio), and the purpose of the loan. At Empowered Finance, we give you access to different loan products and a range of interest rates, depending on your circumstances. A secured loan possesses some form of collateral as security for the money lent. It offers the lender some form of security should you be unable to repay the loan. As a result, lenders are more likely to provide better rates for secured loans. Unsecured loans have no security and are secured by the creditworthiness of the borrower. They typically have lower total borrowing and higher interest rates. However, they have no risk to personal property. You can use the equity in your residential property to access finance for business purposes? A range of lenders will allow you to refinance your home loan and get cash out for business and/or investment purposes. This can be an excellent option instead of a traditional Business Loan as the rates and fees of a residential home loan are generally a lot cheaper! Matt helped me refinance my house and negotiated a significant reduction in the interest rate. He was very professional and made it easy to understand what he was doing. I would recommend his services to anyone! ? Matthew was responsive, polite and professional. He assisted me to refinance using the best deal that was available. I wouldn't hesitate to recommend his services to anyone. Empowered Finance assisted with finance for my first home. They walked me through every step of the process. I found them to be knowledgeable &a,mp; professional. Thanks Empowered Finance! Matt helped us with our loan for our dream property earlier this year. He went above and beyond to help us! He made the whole process so straight forward and go so smoothly. We never felt like we were asking the 'silly' questions, he clearly explained our options and his support and advice through the purchase was second to none! I have recommended Matt to friends and family, he will be looking after all our finances and loans in the future. Thank you again Matt! Fantastic service from Matt! I had been putting off negotiating a lower interest rate for my home loan and Matt was so enthusiastic and professional. He managed to get us a great rate! I highly recommend Empowered finance. Matthew’s service was faultless in assisting with my refinance. With his extensive product knowledge he was able to provide me with the best package and interest rates that suited my home loan. Always available to help with nothing ever to much trouble, I would highly recommend Empowered Finance to anyone after any finance advice. Matt has been so helpful with my personal and business loans. I am self employed so getting loans can be pretty painful in the past, Matt made the experience quick and easy on all counts. Would highly recommend him! We can highly recommend Matthew from Empowered Finance. Matthew is professional, hard working, attentive and very helpful. He made the whole process pain free and easy to understand. We will be back again. Thank you! Matthew made financing my first home seamless! He explained everything in depth and made the process easy to understand for me, which as a first home buyer was very reassuring. He listened to what I was looking for and provided me with the best options tailored to me. I will definitely be back in the future and would recommend him to anyone looking for financial advice. Thanks Matt! Matt went above and beyond when refinancing our home loans! Having more than one home, it was testing from the start. Matt sorted them out, found us a great deal, saving us thousands of dollars, and was with us every step of the way. It wasn't easy, but Matt handled it with Humour, Professionalism and no doubt, many sleepless nights! He was only ever a phone call or email away, and answered many questions, quickly and efficiently, and always made us feel like we were the mos... t important client. Our refinance certainly put Matt through his paces, and he never once gave up, even when we were ready to admit defeat! I cannot speak highly enough of Matt. Hes worth the phone call. Matt was great and went over and beyond to help us overcome some obstacles to get our loan approved.